This month down Brit Grit Alley, I interview Gareth Spark. PDB: What’s going on now? Right now I'm suffering that mixture of dread and delight that comes when you publish anything, and which seems so much more severe when that something is a collection of stories you've worked on for a number of years. 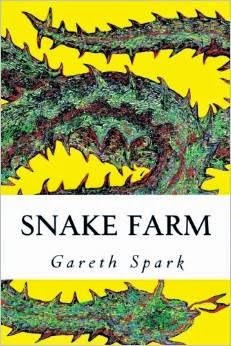 SNAKE FARM, is a book into which I've invested a lot of imaginative capital and energy for a long damn time. It's a post-modern tribute to the outlaw life, an examination of violence and, above all, a collection of gritty stories. The book begins with tales set in the old American west, at the very dawn of that idea of the desperado as hero, and continues through tales of war and crime and heartache to a penultimate tale set in a post-apocalyptic world, before heading right back to the Wild West. PDB: How did you research this book? The title (as well as being pinched from a kickass Ray Wylie Hubbard song) comes from those places where they keep these poisonous critters and use their venom to create an anti-venom, a cure, and I liked the idea of the book as a metaphorical snake farm. The historical stories were researched pretty hard to provide some kind of accuracy, but the vast majority occur in the here and now and take place in areas I know pretty well, either in the UK or Spain. PDB: Which of your publications are you most proud of? Somebody once asked Picasso which of his paintings was his favourite and he replied, "The next one." I'd have to echo that sentiment. PDB: What’s your favourite film/ book/ song/ television programme? At the moment, I'm pretty into JUSTIFIED. I'm re-watching all 6 seasons, beginning to end. (Thank you SKY TV!) The books I'm digging right now are EVERYTHING RAVAGED, EVERYTHING BURNED by Wells Tower and THE ANIMALS by Christian Kiefer. I'm also looking forward to Aidan Thorn's upcoming second collection. That guy can write. PDB: Is location important to your writing? I personally think the answer to the kind of cultural vanilla gloop that comes with globalisation and social media hegemony is with the particular and the local, and I try to make my writing a true representation of the places I know well, excepting the historical stories, and I research those with no small industry. PDB: How often do you check your Amazon rankings? Hardly ever, and that's the truth. A history of miserable "Author's profile" pics means I never google my name either. That way madness lies. I'm editing a 50K Novella called GUTTER WOLVES, which is a gangster thriller set on the Costa del crime and I've just finished a screenplay called JERICHO ROSE about a Gulf War vet/recluse who finds a kidnapped girl. I'm also writing a new novel, a noir called WINTER FIRES. That's still in the 1st draft though. 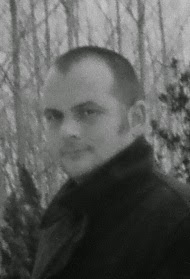 Bio: Gareth Spark writes dark fiction from and about the moors and rust belts of the North East where grudges are savoured, shotguns are cheap and people get by in the economic meltdown any way they can. His work has appeared at Near 2 The Knuckle, Out Of The Gutter, Line Zero Shotgun Honey, and many more journals/zines. Gareth Spark was born in the middle of a blizzard on New Year's day, 1979. He grew up in Whitby and published his first book, a collection of poetry called "At The Breakwater" at age 22. He has since published two further collections "Ramraid" (Skrev Press) and "Rain in a dry land" (Mudfog) as well as the crime thriller, "Black Rain" (Skrev Press, 2004) and the collection of short stories "Snake Farm" (2015). He reviews fiction and poetry for various on-line journals. Paul D. Brazill is the author of A Case Of Noir,Guns Of Brixton and The Neon Boneyard. He was born in England and lives in Poland. He is an International Thriller Writers Inc member whose writing has been translated into Italian, Finnish, German and Slovene. He has had writing published in various magazines and anthologies, including The Mammoth Books of Best British Crime. He has edited a few anthologies, including the best-selling True Brit Grit – with Luca Veste. His blog is here.